The role of local actors in supporting humanitarian efforts and the security of aid workers is not new. They have been at the forefront of humanitarian response in many contexts for decades, but their contributions have not always been recognised. Recent global initiatives, including the Grand Bargain localisation workstream and the Charter for Change, are pushing for the greater recognition of local humanitarian actors and seeking to empower them to take a greater leadership role in humanitarian response settings. As part of this localisation agenda, the international humanitarian community is putting greater responsibility on the shoulders of local humanitarian actors, thereby increasing local aid workers’ exposure to risk. Yet, at the same time, these local aid workers are not being consistently offered the tools they need to manage this risk. I believe the localisation agenda, although an important aspiration, remains a theoretical ideal when it comes to security. In my view, this ideal continues to fail to take into account how principles and perceptions influence partnerships and risk in policy and practice. The humanitarian community must indeed ‘go local’, but it needs to ensure that it does so safely. There are many ways to go local safely, and a lot of useful learnings were discussed at a recent event at the ICRC Humanitarium. At this event—co-organised by the ICRC, the European Interagency Security Forum (EISF) and the Lutheran World Federation (LWF)—panellists from around the world spoke about the security challenges posed by the global push towards the localisation of humanitarian action. The following blog builds on the experiences and opinions shared at the event. It explores some of the key security challenges I perceive are affecting the localisation agenda and suggests ways in which international and local organisations can address these challenges. You can watch the recording of the event at the end of this blog. In highly divided and fraught conflict settings, such as Syria, it can be a challenge for international humanitarian actors to engage in impartial and neutral humanitarian response activities. For local actors this can be twice as difficult. Local non-governmental organisations (NGOs) may be linked with particular parties to the conflict (whether intentionally or unintentionally) through local staff, leadership or community ties. These links can have serious implications for their security and impact the perception of any international NGO that may be in partnership with them. These perceptions can furthermore result in security challenges for the international partner. The opposite holds true as well. If an international NGO is perceived to have a particular political or religious agenda, the local community and other actors may assume that any local NGO that partners with this organisation must share the same agenda. In contexts such as Afghanistan, Somalia and Nigeria, where there is a history of anti-western violence, ignoring the impact that a partnership between a western international NGO and a local organisation can have on local staff’s acceptance in particular communities can be dangerous. Although the term ‘risk transfer’ can carry negative connotations in the aid sector—for examples of the unethical transfer of risk to national actors, see the To Stay and Deliver report—the establishment of any partnership between two organisations will lead to a mutual transfer of risk. This transfer of risk is not inherently unethical. However, a failure to acknowledge and address the security challenges resulting from a mutual transfer of risk would, I believe, be unethical. The security implications of risk transfer can be influenced by an organisation’s approach to principled humanitarian action, as well as how the organisation is perceived locally and internationally. When it comes to local acceptance and security, perceptions can be more important than the truth. The interplay between principles, perception and risk transfer is, however, not regularly acknowledged in partnership arrangements. This interplay is, therefore, not regularly taken into account during the development of security risk management plans and capacity building efforts within both international and local organisations. What do these security challenges mean for the localisation agenda? Security is all about trust. Sensitive information is shared with organisations that are trusted by local communities, especially if the information shared places the informants at risk of retribution from other actors. The LWF has been in South Sudan for the last 20 years and has invested in building strong relationships with local communities, religious leaders and local volunteers. It is through the support of these local groups and the trust-based relationship established between them and the LWF, that the organisation has been able to remain in the country. The importance of local actors in humanitarian response cannot be underestimated. It is crucial that the humanitarian community continues efforts to implement the localisation agenda and empower local actors to take greater leadership roles in humanitarian response. Key to supporting this realistically is to neither overestimate nor underestimate local security knowledge and capacity. There are both strengths and weaknesses in local actor knowledge and capacity. Humanitarian partners should be open to discussing these strengths and weaknesses and integrating them into their security risk management systems and trainings. An anecdote shared by the Colombian Red Cross during the event evidenced how local actors can play a very important role in warning organisations of potential threats.Organisations should make sure this local knowledge is included in their security risk management practices and capacity building efforts. However, it is also important to analyse the information collected to distinguish between opinions and facts. A guest participant at the event shared an example from the Central African Republic where a local driver recommended driving at night to avoid being attacked, which was contrary to existing local security risk management procedures. Individual accounts, such as this one, can fail to consider how individual personal profiles (e.g., ethnicity, nationality, gender, etc.) may exhibit different risk levels in particular situations, and do not take into consideration other factors, such as the higher rate of traffic accidents at night. Solely relying on individual thinking to inform security decisions without analysing different sources of information can be dangerous. International NGOs need to provide their local partners with the resources and tools to appropriately obtain and analyse security information. 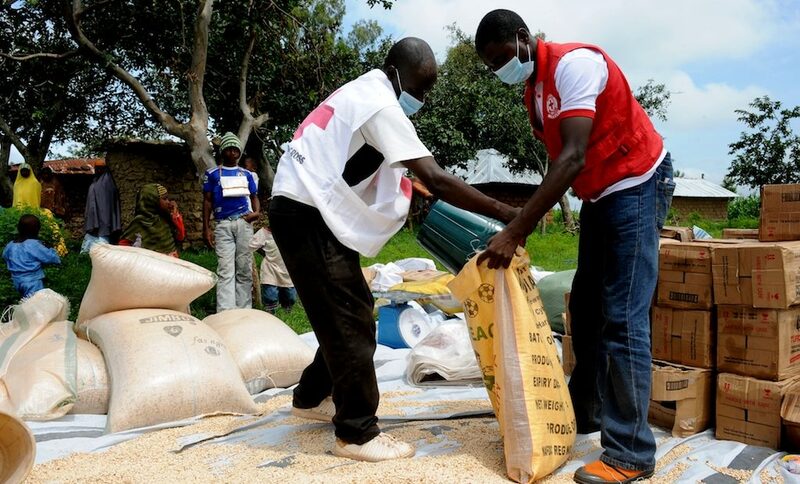 Statistics from Insecurity Insight and Humanitarian Outcomes show that local aid workers (from both international and national NGOs) are more likely to be involved in serious incidents than their international counterparts. In 2016 alone, the Aid Worker Security Database reports that there were 245 major attacks against national aid workers, compared with 43 against international staff members. Despite this, local actors, whether they work for national or international NGOs, receive fewer resources and training opportunities than their international counterparts. Part of this may be related to the fact that many international organisations often erroneously assume that local actors have good security risk management practices in place simply because they are familiar with the context. Engaging in any sort of assumption when it relates to security risk management places lives at risk. International organisations partnering with local actors should engage in participatory processes that aim to identify gaps in security risk management knowledge and skills and build capacity accordingly. This needs to start with changing the attitudes of leadership, as well as organisational management and culture, by highlighting why security risk management is important. To complement this, the humanitarian community should invest in the establishment of permanent and regular trainings that are context-specific, build the governance and accountability mechanisms of local organisations, and train local actors on why and how to assess and mitigate risk. Several good examples of capacity building efforts to improve local humanitarian actor security were mentioned at the event. For example, The Safer Access Framework—developed by the ICRC in consultation with the IFRC and National Red Cross and Red Crescent Societies—was created to support National Societies in improving their acceptance, security and access to communities in need. At the event, the Colombian Red Cross Society described using the framework in practice; while LWF mentioned implementing similar training initiatives to build the security risk management capacity of local partners in South Sudan. Continuing to place increasingly greater responsibility on the shoulders of local humanitarian actors while failing to build local security risk management capacity means heightening local aid workers’ exposure to risk without offering them the tools to manage this risk. As evidenced by the panellists at the event, there are positive capacity building initiatives and existing valuable resources to help guide organisations in improving the skills and knowledge of local actors in humanitarian security risk management. Donor policy on localisation efforts must be reflected in donor funding strategies. At the moment, there is a lack of resources to realistically build the capacity of local humanitarian actors in security risk management. Due to funding shortages, local NGOs struggle to develop the long-term policies and systems needed to ensure the ongoing security of their staff. Local organisations, furthermore, find it difficult to obtain appropriate insurance to protect their staff in case of incidents. International NGOs meanwhile struggle to find the time and resources needed to build context-specific security risk management trainings that cater to the long-term needs of their local partners. Collective advocacy efforts are needed to educate and influence donors and insurance providers on what it will realistically take to implement the localisation agenda. These challenges and funding gaps are not trivial nor are they an easy sell to donors. However, addressing them will save lives. The localisation agenda is still in its early phases and what it means in practice remains unclear. Any effort, however, to push for greater local ownership over humanitarian response efforts will inevitably result in a complex interplay between principles and perceptions and will create a mutual transfer of risk between international and local organisations. This transfer of risk is not inherently unethical. Instead, it would be unethical to ignore this transfer of risk and place increasingly greater responsibility on the shoulders of local humanitarian actors without giving them the tools and the resources they need to keep themselves safe.